These pretty things are making the rounds in the social media-verse. If you can’t believe that there are fans of designer cowhide rugs, look at what we have compiled for you! 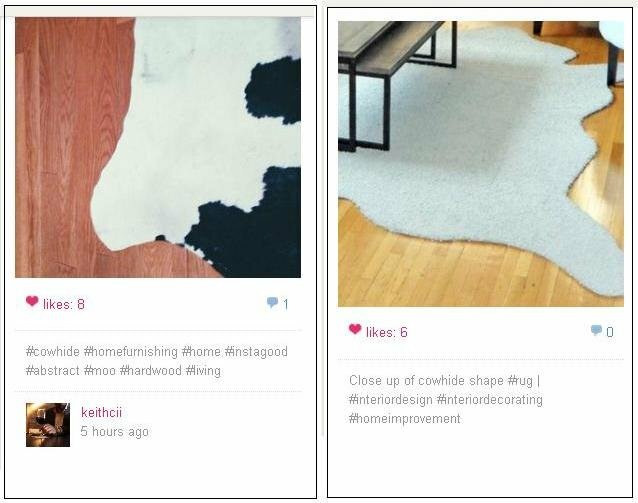 Cowhide rugs are in Instagram now, as more and more people love these beautiful creations. Oh, enough said, here are some cute/elegant/unique photos of cowhide rugs from real people. Based on what you are reading, @justicelaurenharder and @jawndee bought these rugs and they were ecstatic when they received it they immediately though that it would be good to post it in Instagram. Buy yours too from eCowhides.com! 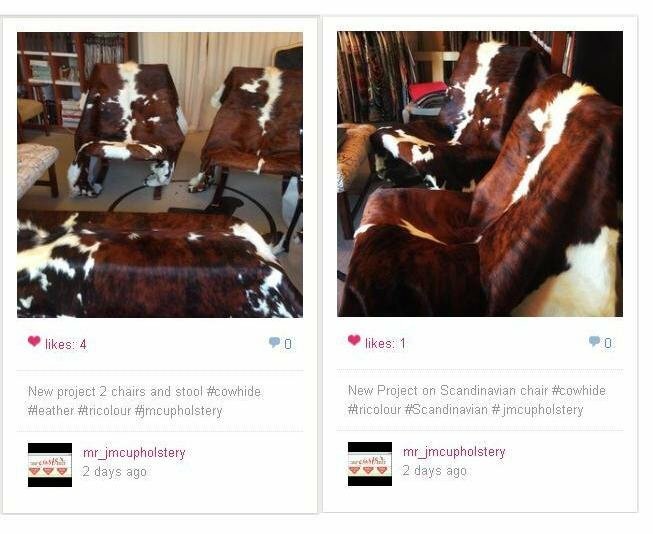 In these posts by @mr_jmcupholstery, he was ‘bragging’ about his recent creations – sofas upholstered with cowhide rugs. Would you shoo away these adorable dogs when you see them lying on your cowhide rug? I bet not! Don’t worry they will not chew it. Ready for a close up? Apparently these cowhide rugs are too beautiful thus they deserve a close up! Cuteness overload! 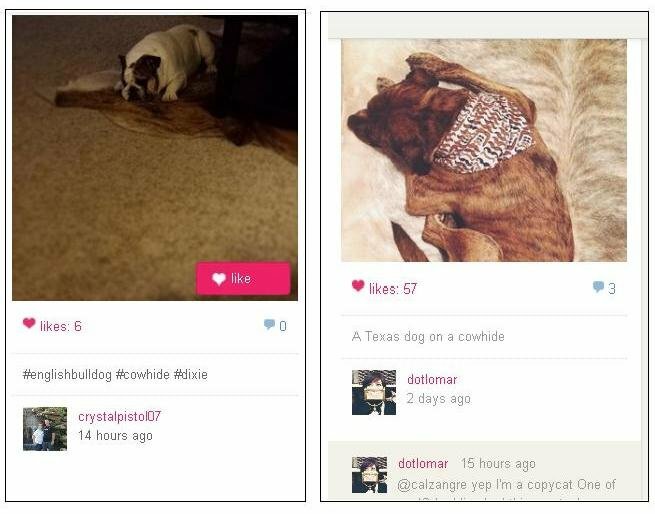 The photo from @popeyemurrah777 is a little dog, which looks like it camouflaged well with the cowhide rug. 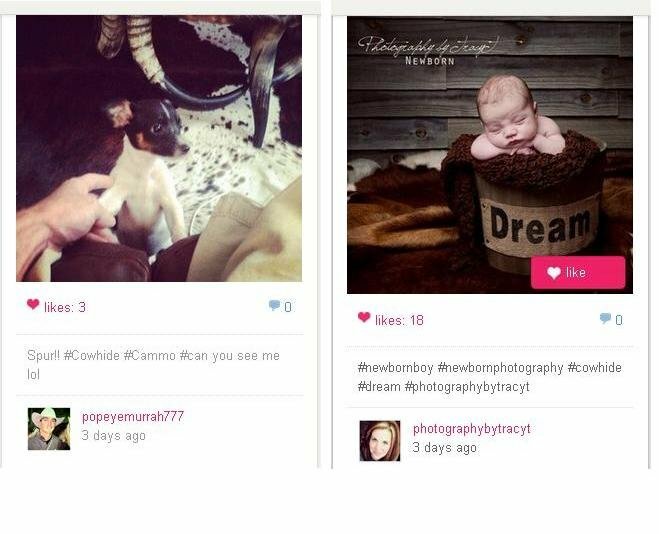 On the other hand, the picture from @photographybytracyt is an adorable baby sleeping with cowhide rugs as background. Oh so cutesy! 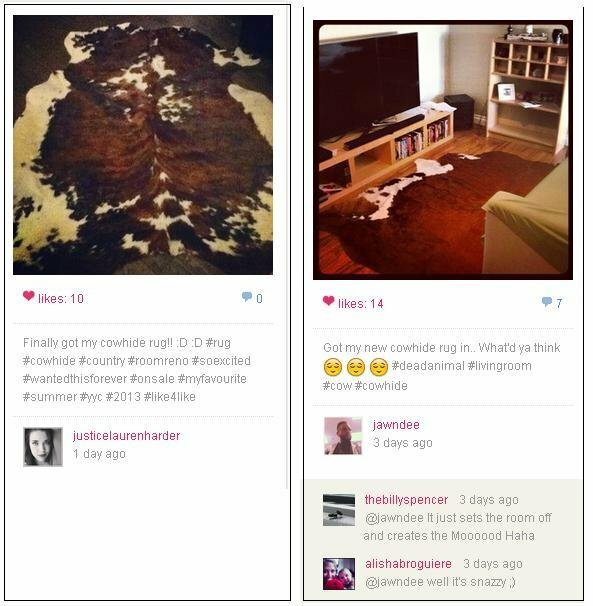 Do you have any great photos of cowhide rugs that you’ve shared in social media sites? Why not share it with us? A link on the comment below will be great! This entry was posted on July 22, 2013 by ecowhides and tagged Carpet, Carpets and Rugs, cowhide, cowhide instagram, cowhide photography, cowhide rug, cowhide rug photos, cowhide rugs, cowhide rugs design, cowhides, cute cowhide rugs photos, facebook, Floors, Home and Garden, Instagram, pictures cowhide rugs, Shopping, Social media, Tanning.